Kumsal was appointed as an independent Non Executive Director on 1st September 2015 and was during 2018 also a member of LSL’s Nominations, Remuneration and Audit & Risk Committees. Kumsal has significant experience in strategy, technology, operations and sales and marketing, particularly in the professional information solutions sector. 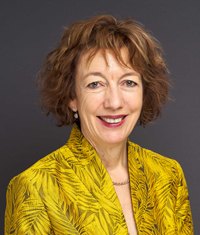 This includes her current appointment as Chief Executive Officer of Elsevier which is part of the RELX Group plc. Prior to this she was Regional President, Europe at Reed Exhibitions which is also part of the RELX Group plc. 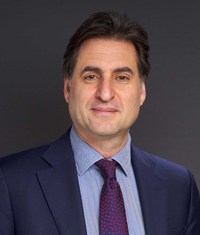 Kumsal has previously held a number of executive technology and digital strategic roles including appointments as Chief Strategy Officer for RELX Group plc, as the Executive Vice President of Global Strategy and Business Development for LexisNexis (part of RELX Group plc); and as a consultant for Bain & Co in New York, Johannesburg, Sydney, San Francisco and Los Angeles. Kumsal holds an MBA from Harvard Business School and a BA in Economics from the University of California at Berkeley. 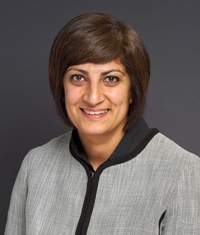 Kumsal will retire from the Board and its Committees with effect from the 2019 AGM in order to focus on her new role as Chief Executive Officer of Elsevier. Helen was appointed as Executive Director – Estate Agency on 2nd February 2017 and has overall responsibility for the performance, strategy and development of LSL’s Estate Agency Division. Prior to this role Helen had, since December 2011, served as an independent Non Executive Director and was also a member of LSL’s Nominations and Remuneration Committees. 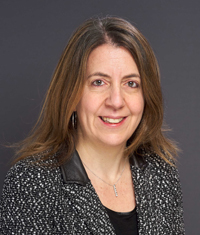 Helen was previously Chief Operating Officer at Palmer & Harvey. Prior to this she was part of the Sainsbury’s management team from 2005 to 2015, including five years as a member of the Operating Board. Helen has extensive expertise in strategy, marketing, commercial and operations. Before joining Sainsbury’s, Helen held a number of senior positions at Marks & Spencer, Woolworths and Safeway and was a senior manager at McKinsey & Co.
Adam was appointed as Group Chief Financial Officer on 2nd November 2015. Adam has a breadth of financial skills and experience in the retail and services sectors. Adam joined LSL from French Connection Group PLC where he was the Group Finance Director. He previously held leadership roles at a number of market leading companies including O2 UK, eBay and The Walt Disney Company. Adam has over 25 years’ experience in finance, having started his career with Price Waterhouse where he qualified as a Chartered Accountant in 1989. 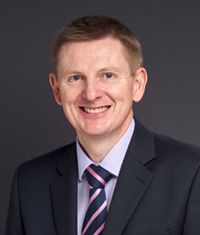 Ian was appointed Group Chief Executive Officer on 9th September 2013 and has primary responsibility for the performance, strategy and development of LSL. Ian’s previous experience included seven years as CEO of Quadriga Worldwide, Europe’s market leader in digital IP communication and entertainment services for hotels, where he was responsible for expanding the business into 50 countries. Earlier, Ian was a member of the Industrial Advisory Board at Permira Advisers LLP and worked on major transactions including the €640m buy-out of Hogg Robinson. Prior to this he was Chief Executive of IKON Office Solutions UK/Europe, the document management and office products provider, for six years; delivering significant growth both organically and through several acquisitions. Ian holds a BA from Oxford University and an MBA from Harvard Business School. Simon was appointed Non Executive Chairman on 1st January 2015, having previously held the positions of Deputy Chairman and Group Chief Executive Officer. He became the Group Chief Executive Officer of LSL at the time of the management buy-out of e.surv and Your Move from Aviva (formerly Norwich Union Life) in 2004. Prior to the management buy-out, Simon was responsible for the strategic direction of these companies, and subsequent to the management buy-out, Simon oversaw and was responsible for the turnaround of the initial Group. Simon’s other directorships are limited to a small estate management company, Road to Health (a healthcare provider) and he is also Non Executive Chairman at Global Property Ventures (which distributes a tenant deposit replacement product). Darrell was appointed as an independent Non Executive Director on 28th February 2019 and is also a member of LSL’s Nominations, Remuneration and Audit & Risk Committees. Darrell joined LSL with significant experience in financial services and he is currently the Chief Commercial Officer at the Co-Operative Bank plc. Darrell spent the first part of his career at Royal Bank of Scotland plc, where he was Managing Director, Mortgages, Loans and Retail Telephony in the retail banking division responsible for all aspects of the Group’s mortgage proposition. Prior to that he was Product Director for the RBS retail bank. 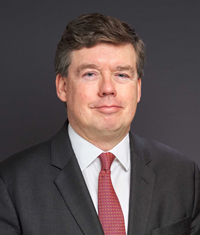 Darrell has also held senior executive roles at Direct Line Insurance Group plc, Virgin Money plc and The Consulting Consortium where he was CEO. Bill was appointed as an independent Non Executive Director and the Chairman of the Remuneration Committee on 7th January 2014 and on 1st January 2015, he took on the roles of Deputy Chairman, Senior Independent Director and Chairman of the Nominations Committee. He is also a member of LSL’s Audit & Risk Committee. 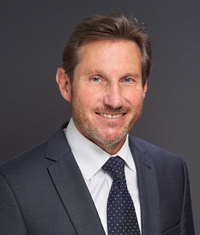 Bill has significant PLC board experience in strategy, operations, finance and governance in the consumer, financial services, residential and commercial property sectors. He is currently Non Executive Chairman of St Modwen Properties plc, Non Executive Chairman of Johnson Service Group plc and Council Member at the University of Southampton. He was previously at Whitbread Group plc from 1974 and between 1994 and 2004, he was the Divisional Managing Director. He has also served as Non Executive Chairman of Aegon UK plc and Non Executive Director of Rank Group plc, Barratt Developments plc, and Matalan plc. 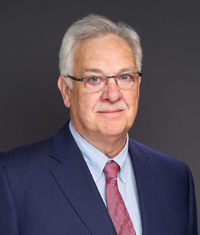 David joined the Board on 1st May 2015, and is Chairman of the Audit & Risk Committee and a member of the Remuneration and Nominations Committees. David has significant experience in finance, strategy, operations, risk and compliance with a particular expertise in financial services. He is currently Non Executive Chairman of the Enra Group and also sits as a Non Executive Director on the boards of M&S Bank, HSBC Private Bank (UK) Limited and Brooks Macdonald Group plc. Previously, he was Chief Executive of the Coventry Building Society (2006-2014), having earlier served as Finance Director and Operations Director. 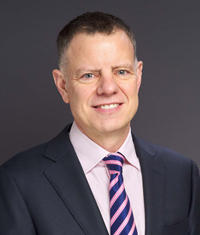 Prior to joining the Coventry, David spent ten years at DBS Management plc, holding a number of board positions including Group Chief Executive, Group Managing Director and Group Finance Director. David qualified as a Chartered Accountant with Peat Marwick (KPMG) and is a graduate of Warwick University. Sapna is a solicitor (qualified in 1998) and has been in the role of General Counsel and Company Secretary at LSL since 2004. Prior to the management buy-out of Your Move and e.surv, Sapna was a member of Aviva Life Legal Services and had since 2001 formed part of the team that supported Your Move and e.surv Chartered Surveyors.